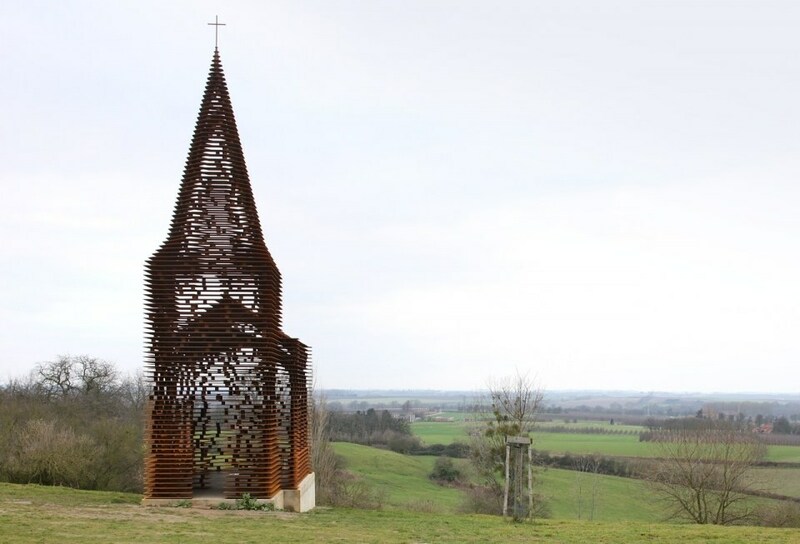 For the architects, churches have always been a source of inspiration. Some churches are decorated in a great details and some don’t even look like a traditional church at all. Some lure visitors in with colorful vitrages, while others remain plane. Reading Between the Lines Church is an extraordinary church, that looks modern and traditional at the same time. 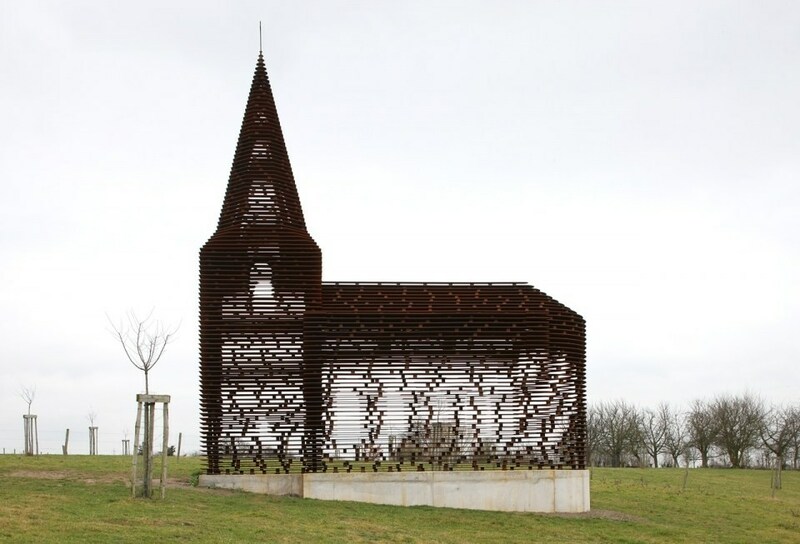 The church is located in a remote orchard farm in Borgloon, Belgium. 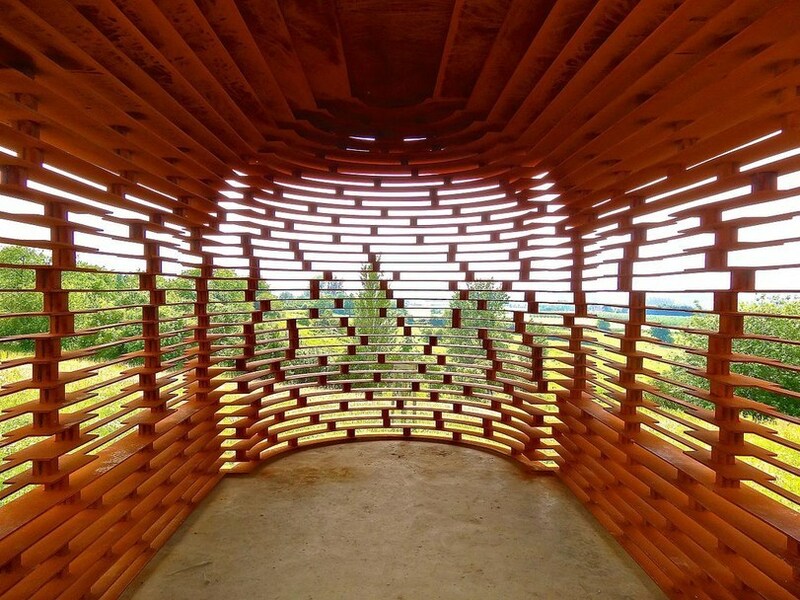 It was built by Pieterjan Gijs and Arnout Van Vaerenbergh, as the part of the Art in an Open Space campaign, in 2011. 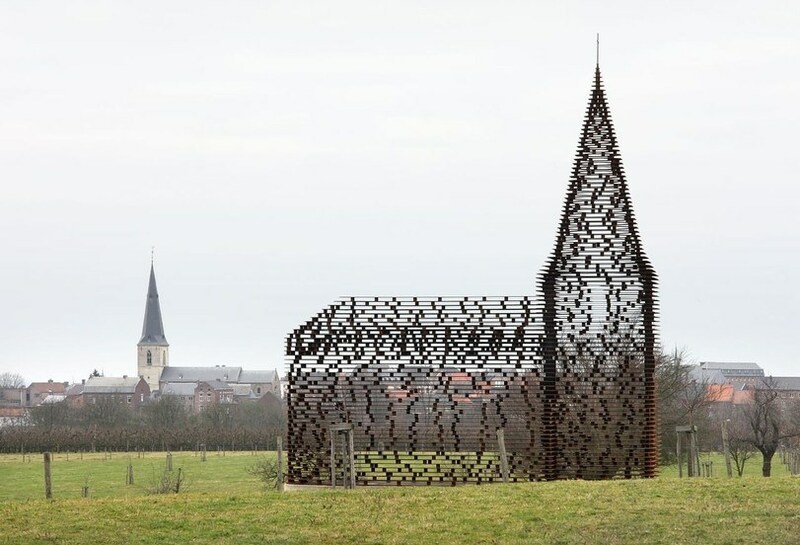 The church is made of 100 metal plates, which are less than a half inch thick. It took 30 tons of metal and 2,000 columns to construct the church. 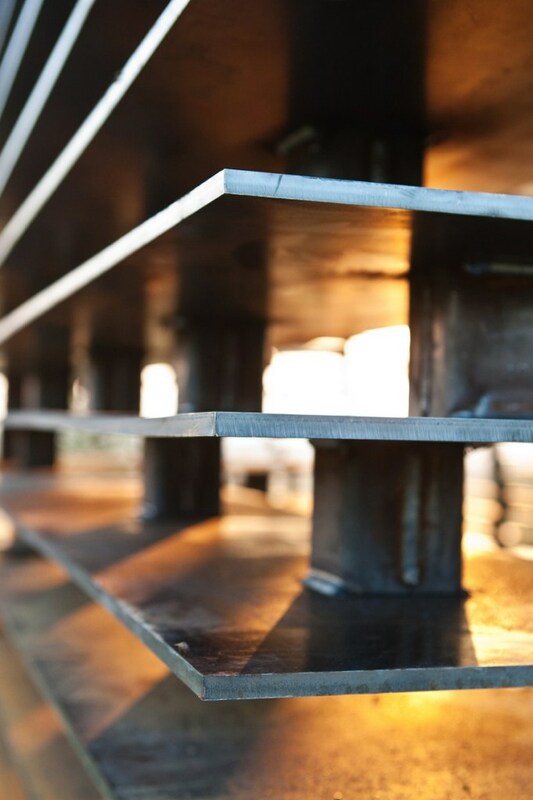 The whole structure was placed on a reinforced concrete foundation. 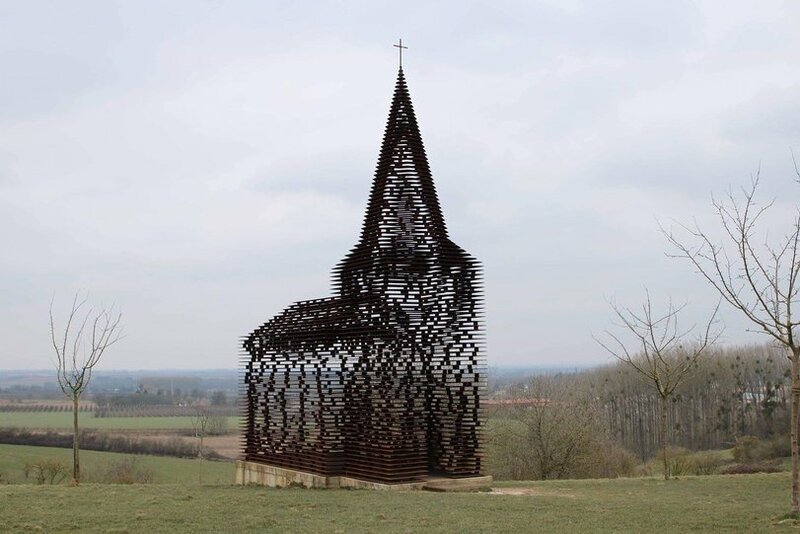 Visitors come to see the seemingly weightless chapel, which consists of two thousand rods connecting hundred layers of steel plates. 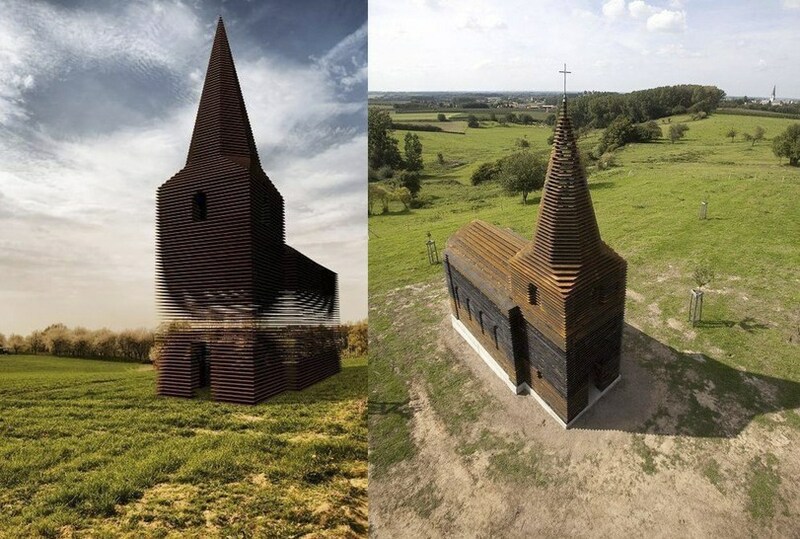 How the church looks, depends on the angle of view. 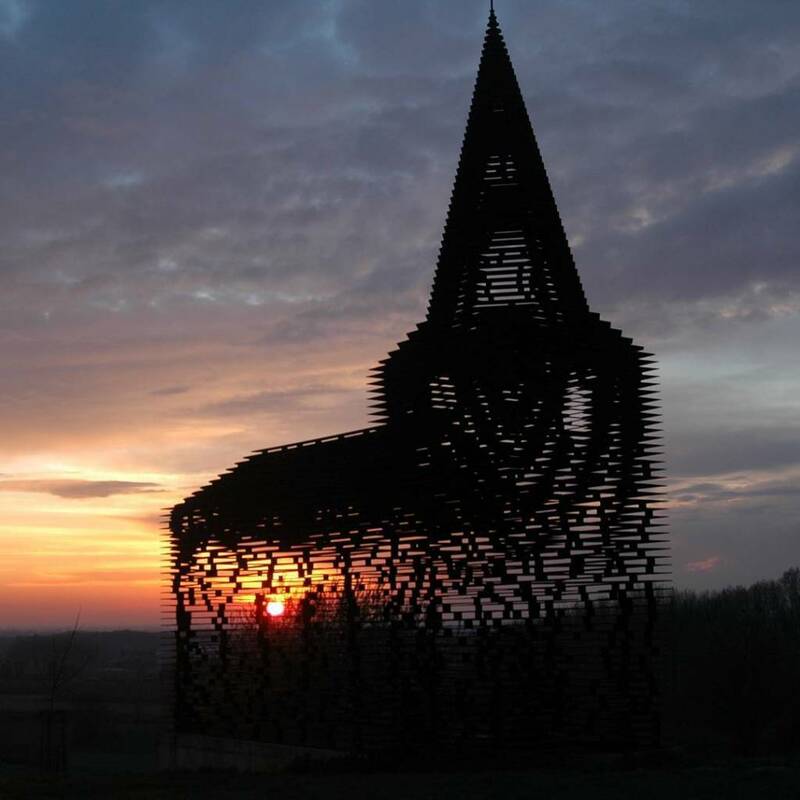 Sometimes, it seems gigantic and sometimes, it seems like parts of the church has disappeared into the air. What is inside the church, is visible outside and vice versa. The building does not have any special protection from rain or wind. It is especially pleasing to the eye at sunrise or at sunset. 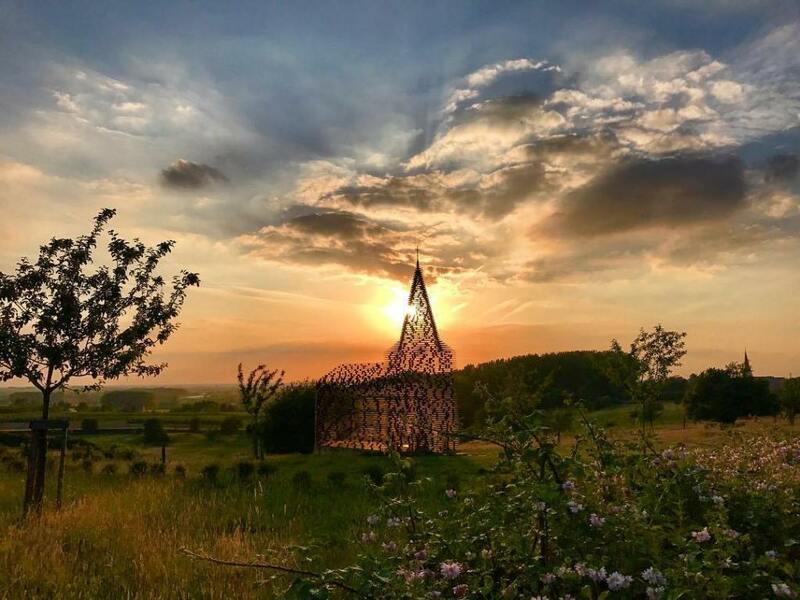 The church is located off the beaten track, so it may seem like in the middle of nowhere. But, it is a must see scenery, if you are nearby.